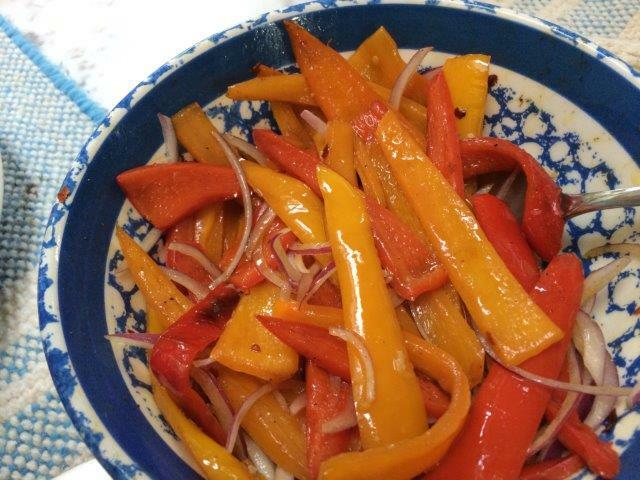 Posted on 30 May 2014, in French Fridays with Dorie and tagged French Fridays with Dorie, peppers. Bookmark the permalink. 14 Comments. I too was newly aware that my red whine vinegar is severely underused. I like the idea of using this treatment on snap peas! 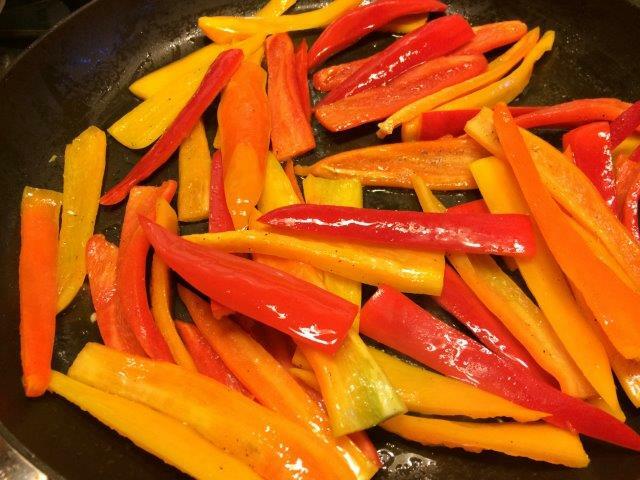 Your peppers look beautiful. My week got messed up, but maybe tonight. I think I’ll try your suggestion of balsamic vinegar. You are right about the recipes. I guess this time it’s good that it’s just a suggestion, since I don’t have the book with me!!! Enjoy your weekend!! Yup, I loved this, too…and love your ideas for other ways to utilize this yummy recipe! 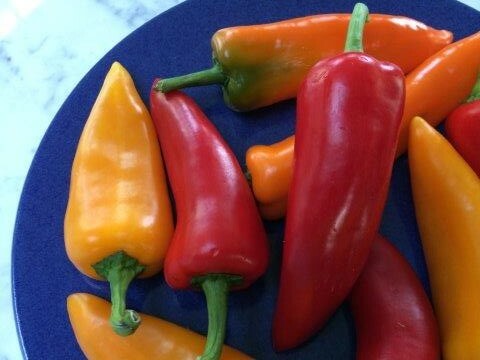 Does Howard eat peppers? This one worked well for me too. Balsamic would be interesting… probably best served with beef… something that can stand up to the balsamic… now you got me thinking about vegetables and vinegars…hmmm. This was indeed a lovely side. Like your idea of adding vinegar to other veggies. I have to try that soon. I agree with your division of the recipes. I also like the way Dorie presents the diversity of influences that make up France’s cuisine these days. Great ideas for other vegetables to try with this technique. Wow, over three quarters of the way through. It’s sad to think that it will one day be over. I need to look around and see if I can’t find another book with a mix of sweets and savories to tackle. I love how colorful this is – I’m glad you enjoyed it! Yes, it was nice to bring out the red wine vinegar for a switch. This was such a colorful dish – I did love the colors. This was colorful and I shall remember your tip on balsamic in future! It’s hard to believe we’re over three-quarters done. I love that I learn something new even from the simple recipes in this book – like how vinegar perks up vegetables. Great idea to use with snap peas!